Alfred Hassner was born in Czernowitz and spent WWII in hiding while he lost his father; after the war he returned to study in Vienna and then immigrated to the USA where he continued his studies. Hassner is currently Emeritus Professor at Bar Ilan University. 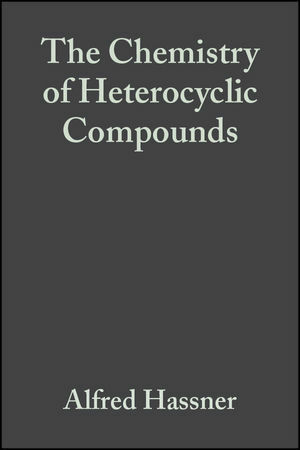 Hassner is the author of 320 scientific publications; he was editor of scientific series: Advances in Asymmetric Synthesis (JAI press); Small Ring Heterocycles (Wiley);Topics in Heterocyclic Chemistry (Springer). Azetidines (J. Moore and R. Ayers). The Synthesis of the B-Lactam Function (G. Koppel). Four-Membered Rings Containing Two Nitrogen Heteroatoms (R. Richter and H. Ulrich). Diaziridines, 3H-Diaziridines, Diaziridinones, and Diaziridinimines (H. Heine).